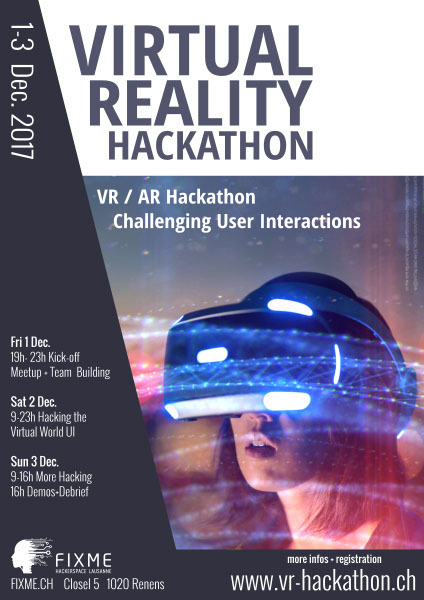 The FIXME hackerspace in Lausanne, Switzerland is preparing a VR Hackathon on the weekend of 1-3 December. Competitors and visitors are welcome, please register here. Some of the free software technologies in use include Blender and Mozilla VR.